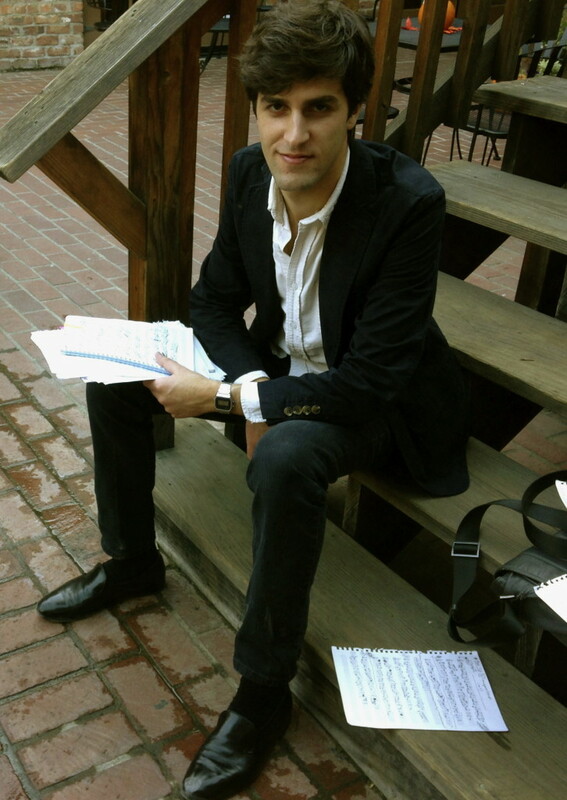 Ryan Suleiman is a composer based in Sacramento and was born to Lebanese and American parents. His music aims to explore new worlds both sonically and expressively through “impressionistic textures and large melodic gestures” (SF Classical Voice), resonant sonorities, and lively rhythms. Though his interests vary, Ryan is deeply inspired by the strange wonder of natural world and the tremendous beauty found in our everyday lives. Ryan was twice a Finalist in the ASCAP Morton Gould Young Composer Awards, has received two first prizes from the FeNAM Student Composers Competition, and has attended several festivals, including Oregon Bach Festival Composers Symposium (2014), June in Buffalo (2016), and SICPP (2018). He has collaborated on performances and commissions with numerous ensembles, including Left Coast Chamber Ensemble, Calder Quartet, Ensemble Mise-en, the Sacramento State Symphony-Orchestra and Symphonic Wind Ensemble, Camerata Capistrano, and the Davis High Symphony-Orchestra, among many others. Recent projects include a tiny unstaged “opera-song,” a guided participatory piece called Stairwell Music, and a 30-minute work called Heartstrings for piano quartet and dancers commissioned by the Hawkins School for the Performing Arts. In 2013, Suleiman graduated with a B.M. from Sacramento State where he was president and co-founder of Composers Symposium. He is currently a Ph.D. candidate in Composition/Theory at University of California Davis. His principle teachers have been Stephen Blumberg, Leo Eylar, Kurt Rohde, Mika Pelo, Ross Bauer, and Pablo Ortiz. Ryan resides in Sacramento with his wife / musical collaborator, two cats, and one brown dog. He enjoys long walks, good food, and the films of Hayao Miyazaki. Under Moonlight (2012) recorded live by Sakurako Kanemitsu, piano, at Sacramento State, December 2013. Learn more about this piece. “Oceans” from Imageries (2015), recorded live by David Russell, cello, at the Mondavi Center (UC Davis), November 2015. Learn more about this piece.